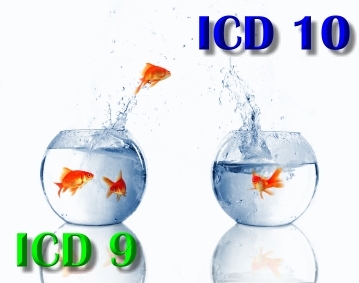 There are many details involved in implementing the new ICD-10 coding system, but at its most basic, the new set is much like its predecessor: it’s about the codes. If you want to get paid in a timely manner you must get the codes right. So far (as far as CMS is concerned, until October 2016), payers are going easy on specificity. But this largess will not last. Sooner than you think, the only way to prevent payment delays (and possible loss of payment) will be to code properly. If you don’t want your receivables to suffer in the coming months, you need to make sure you are using the right codes now. Tammie Olson of Ocean Springs, Miss.-based Management Resource Group, a firm offering financial management and support services for the healthcare community, offered some helpful tips for making sure you use the right code to prevent denials, now and in the future. Don’t leave code selection totally to your EHR. Spot check the EHR’s selections against the actual documentation. For example, the EHR might be coding acute sinusitis when actually it is chronic sinusitis, or giving you a code for myalgia when the diagnosis is actually fibromyalgia. Customize your coding. If you use encounter forms for billing, make sure those forms accommodate all the components needed for accurate coding: laterality, upper and lower, initial encounter, subsequent encounter, sequel, acute versus chronic, and so on. Make your code selections (or the information you give to your coder) as specific as possible, but be cautious with specificity. You don’t want to have to pay back money on an audit just because you coded more specific than you documented. If you document acute bronchitis, you should code acute bronchitis, but if you only document bronchitis, then you should code bronchitis unspecified. Research your payers’ coding policies. A private payer may deny something as investigational that Medicare reimburses. Payers may also want specific modifiers added or they may want a specific code used for a procedure. Know what your payers want before you submit your claims. If you are staying a paper luddite, be sure your encounter forms continue to include all levels of CPT codes for E&M services as auditors may look askance at documents which only allow high level codes. Nevertheless, it is still best to document what you did, do what you documented and accurately report what using have done that is medically necessary to the highest level of specificity. Be sure to include all the codes necessary in oncology. Some drugs require a “dual” diagnosis.